2017 has been an interesting year in Asia, with China’s Belt and Road project really leading the way in influencing governmental policy and a change in thinking across the region. With the need to satisfy Chinese consumers now a priority for the ruling CPC, and a need to counter an economic slowdown of sorts at home, China is now set on exporting its labor and construction expertise across South-East Asia, the Eurasian land mass, and further afield into the EU, Africa, and South America. This has had far reaching impact. 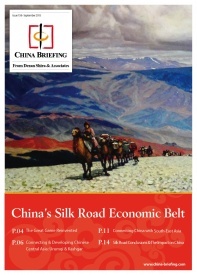 The United Kingdom, for example, mired in difficult Brexit negotiations, still has the financial energy to commit £25 billion in credit available for projects involving British companies in Belt and Road projects in Asia, with the previous British Prime Minister, David Cameron, now heading up a US$1 billion Anglo-China Belt Road fund. As one commentator on my LinkedIn account put it: “What you lose on the EU swings, you make up on the Chinese roundabouts.” The EU, however, is not so sure about Chinese intentions. Fearing a loss of influence over its own member states, it has become embroiled in controversy over Hungarian plans to accept Chinese financing and construction work on a stretch of high speed rail that reaches into Budapest. Regardless of the need, Brussels wishes to be seen to exert control, even if it is not EU-taxpayer funded. The relationship between Brussels and Beijing remains suspicious, as the Chinese backed Cooperation Between China and Eastern European Countries (CEEC) is seen by Brussels as undermining its influence, a situation we examined in some detail here. That the EU is not consistent in its approach towards its eastern borders becomes obvious when Finland and the Baltic States are striving to reconnect with Russia as a hub for receiving Chinese products via rail. That is in itself driving innovation as Northern Europe, in conjunction with Russia and China, is already way ahead of some of their EU counterparts in preparing for the upcoming revolution in digitally managed cross border trade and commerce. Across Asia, a similar pattern of mutual acceptance pitted against regional disquiet is also emerging. The Philippines, fresh from winning a United Nations Maritime Tribunal against China over possession of several offshore reefs it claims, has decided not to take the matter further and is instead looking to Beijing to finance a number of Philippines infrastructure developments. Sri Lanka meanwhile is playing familiar cards, flip-flopping between favoring China and India as the debacle over its Hambantota Port and Airport continues. The alleged conspiracy between Chinese banks and the previous Sri Lankan President to divert interest loan payments to private accounts elsewhere have not helped Chinese Belt Road financing credibility, a situation that David Cameron and Douglas Flint may care to reflect upon. Meanwhile concerns remain over China effectively turning sovereign states, such as Pakistan, into vassal nations via loading them up with unsustainable debts. That has lead to the cancellation of several Chinese projects in Pakistan, an almost unthinkable scenario a year ago. Similar issues have also occurred in Nepal and Myanmar as governments reject the terms actually on offer by the Chinese, despite the “win-win” rhetoric. As a sage Chinese JV Manager once explained to me: “That usually means the Chinese win twice”. Japan and India have also been reluctant to join China’s Belt Road plans, and have even gone so far as to propose alternatives. ASEAN nations continue to remain at arms length, although many are still playing the Chinese game – Indonesia even accepting Chinese demands only to give its funding to Indonesian SOEs and not to its private sector for infrastructure projects in its maritime sector. It should be noted that private sector companies are subject to far more transparent auditing procedures than State Owned Enterprises. Governments are more capable of covering up financial credibility gaps. Meanwhile, Russia looms large, and Beijing needs Moscow on board to properly develop the Eurasian routes. Both countries have been coordinating extensively on this, including introducing new technologies, such as blockchain, to support the effective cross border transportation of goods – think about pre-payment of customs duties and the digital clearance of goods, electronically, to the relevant authorities just before the goods pass through. The main goal here is the EU, which is viewed as both a valuable consumer market, but also as a crucial supplier, something most European businesses have not yet properly understood. China is agriculturally and energy poor, while Chinese consumers are now some of the most demanding in the world. As Bloomberg just put it: “Chinese consumers rule the world. Get used to it”. Opportunities are there, but the EU’s sanctions against Russia remain a stumbling block. Elsewhere, newly evolving infrastructure routes unite India and Iran with Russia and onto the Trans-Eurasian rail network, while India and Russia are also collaborating on maritime routes from Chennai to Vladivostok. The Russia-India tie-in may seem rather esoteric, however, there are other factors at play here. Russia needs large amounts of labor into Siberia to free up agricultural land lain fallow since the breakup of the Soviet Union. China wants, and needs that land to be productive, and is quite prepared to send in millions of Chinese workers to make it so. Wary of getting that territory back should this occur, Russia is instead holding the Chinese workers at bay and encouraging India to provide them instead. Elsewhere, new trade corridors across Central Asia to the Caucasus are being developed. The Lapis Lazuli route that connects Central Asia with the Caucasus has grown largely under the radar. Mongolia’s land routes between China and Russia are also being upgraded and expect to be completed next year, a move that will allow trucking between China and Ulaan Baatar and onto Russia’s wealthy Siberian cities of Chita, Irkutsk, and Ulan Ude. China and Russia have also instigated the Primorye-1 Transport Corridor ,which has the effect of linking China’s northern, landlocked province of Heilonjiang, and the extensive Harbin rail terminal and network through to the Russian port of Vladivostok, essentially giving China an additional window onto the Pacific. Vladivostok, meanwhile, is quietly about to become the world’s leading processor of diamonds. It is little known that Russia is now the world’s largest supplier of these gemstones, mainly from the Yakutia region of Siberia. The Vladivostok Free Trade Zone based Eurasian Diamond Exchange has attracted significant trade and processing investors from India, China, and Japan, while Vladivostok Port continues to expand and attract significant overseas investment. China and Russia have also been preparing for Arctic maritime routes that will almost certainly see commercial development take place in the northernmost regions of the world, while at the same time providing faster shipping access between Europe and Asia. To access that, a proposed Finnish rail route to the Arctic Ocean is under consideration to facilitate that same shipping access and bring goods to and from the EU and Asia across the Northern Sea Passage. The Arctic Corridor is already being proposed by Finnish investors as a medium for national growth via its Arctic resources. Infrastructure has not been the only play this year. Several important, pending tax free agreements have commenced negotiation, and these will almost certainly change the way global trade is conducted, illustrate where sought after Chinese outbound investment will go, and map out where the future trade opportunities are. Most of these involve the Eurasian Economic Union (EAEU), a Russian led free trade bloc that also includes Armenia, Belarus, Kazakhstan, and Kyrgyzstan. An examination of the EAEU and each of its members can be found here. Collectively, the EAEU members have a GDP in excess of US$7 trillion, while intra-EAEU trade among member countries increased 38 percent in 2016 over the previous year. While at first glance the EAEU may seem an unusual grouping, it sits right in the center of Eurasia between the European Union and China, and as such, is of extreme significance, again a situation that has largely flown under the radar this year. That will change. Multiple nations are currently in the process of negotiating free trade agreements with the EAEU, among them China, India, Singapore, Iran, and Indonesia. When the China agreement is signed off, this will have the effect of bringing Chinese goods right to the borders of the European Union, duty free. That has significant implications for the development of services on the EU’s borders with Belarus and Russia, and most notably Estonia, Latvia, Lithuania, Finland, and Poland, and for EU based services companies interested in investing on the Belarus and Russian side of the border to invest in trade facilitation. 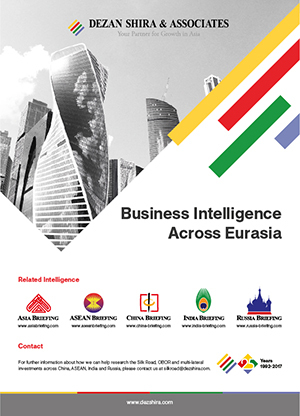 We can expect to see more EU business investment in Russia and Belarus next year, regardless of the sanctions. Trade needs will eventually win out against the political angst. Meanwhile, for 2017, we can examine the impact such developments are already having in terms of trade facilitation. The results may be surprising; however, the Belt and Road is already changing the nature of Eurasian and Asian supply chains. 2018 will only see an acceleration of these trends. In each of the cases above, the bilateral trade volumes are far outstripping the GDP growth performance of each of the specific countries involved, meaning that significant trade patterns are emerging within the Belt Road region and beyond. This has implications for logistics, transportation, and warehousing operators as well as softer services, such as QC, translators, repackaging, labeling, and advisory professionals such as customs agents, accountants, lawyers, and other trade facilitators. 2017 showed that the impact of the Belt and Road initiative is very real and is having an immediate impact on opportunities elsewhere. Indeed, these even extend to the securing and development of Afghanistan away from a war torn nation and into trade prosperity and peace, as the recent C5+ Central Asian grouping and the Lapis Lazuli corridor are both designed, with Chinese assistance, to inject regional stability in addition to trade potential. Such esoteric projects are for very specialized and regionally astute investors. 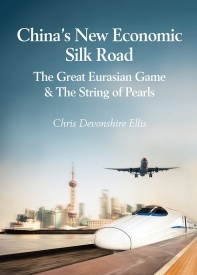 However, for the mainstream foreign investment climate, the above findings show that the Belt and Road is very real, is happening now, and is altering global trade and supply chains. Examining exactly what is coming down the pipeline as concerns Asian regional free trade agreements and infrastructure developments are going to be key to understanding where the opportunities for 2018 and beyond are going to be. 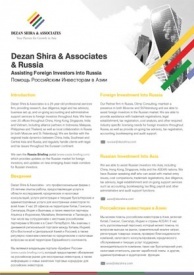 Dezan Shira & Associates´ Silk Road and OBOR investment expertise provides an introduction to the Belt & Road countries and an overview of the services provided by the firm. 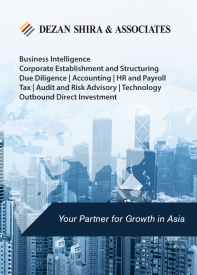 Dezan Shira has considerable regional experience throughout Asia, including the Eurasian routes involving China and Russia as well as the Maritime routes throughout South-East Asia. 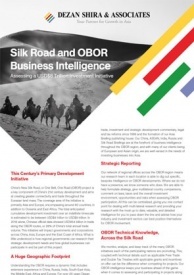 We can assist with Belt & Road analysis and investment intelligence in this complex yet exciting region and possess multiple offices across the Silk Road routes.